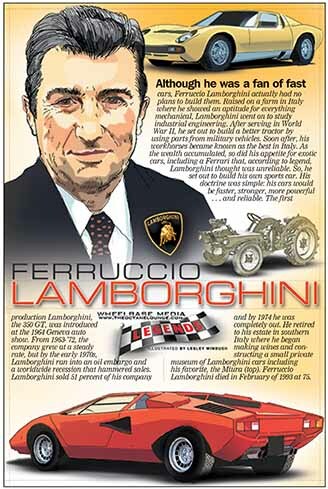 Although he was a fan of fast cars, Ferruccio Lamborghini actually had no plans to build them. Raised on a farm in Italy where he showed an aptitude for everything mechanical, Lamborghini went on to study industrial engineering. After serving in World War II, he set out to build a better tractor by using parts from military vehicles. Soon after, his workhorses became known as the best in Italy.